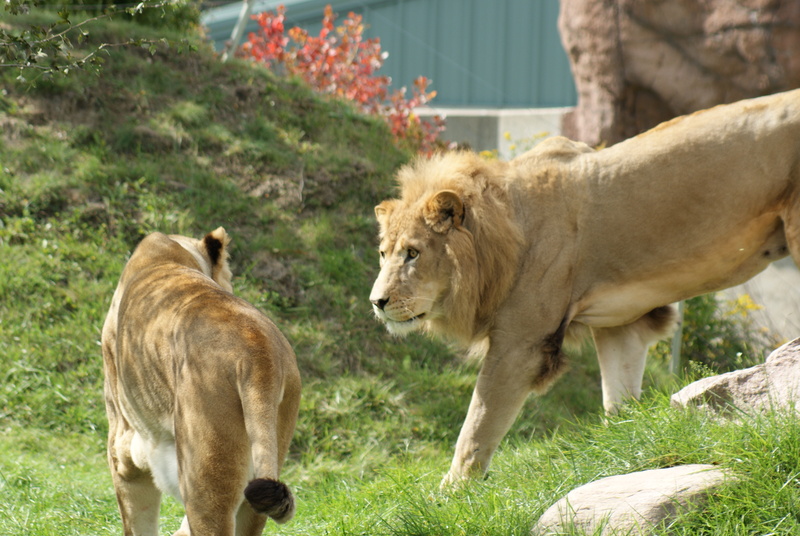 These lions are strolling through their compound at the Toronto Zoo. Certain words derived from French use the prefixes, la— or le—, but many words beginning with L are from Latin. la— from the French for “the”. le— from the French for “the”. lee— the sheltered side of something, from Old English and German. log— or logo— about a word or speech, from Latin. lun— related to the moon, crescent-shaped, from Latin. Compound words may be created with common words, such as lock, long, look, low, etc., which act like prefixes. —lent creates an adjective similar to —ful, meaning more of the same. —less creates an adjective or adverb from a noun or a verb to indicate a lack or freedom from something. —let something little; a diminutive. —like creates an adjective from a noun to indicate similarity. Use a hyphen for words ending in —l and for unusual combinations. —ling something little; a diminutive. —lith denotes a kind of stone or rock. —lithic creates an adjective from a noun ending in —lith. —logic, —logical creates an adjective from a noun ending in —logy. —logist creates a noun indicating a person working in a profession studying something that ends in —ogy. —logue, —log creates a noun indicating the compilation of something. —logy about how something is spoken or expressed; discourse. —logy, —ology a study, discipline, or science. —long describes something of great duration or breadth, or a success. —ly creates an adverb from an adjective to indicate the manner or the degree of something. —ly creates an adjective from a noun to indicate the quality of something. —ly creates an adjective from a noun to denote that something occurs at intervals of time. —lysis creates a noun denoting a cutting up, disintegration or decomposition. The plural of these words is generally —lyses. —lytic creates an adjective for words ending in —lysis. Use the suffixes and prefixes to make simple words longer and then use them in a sentence. Do you know the meaning of each word? If not, go to the dictionary. Ladies in London like Latin lovers. The lion, an African cat species and a popular zoo animal, might eat a South American llama, if given a chance.